"When I got here, most students saw a black man for the first time. They hardly knew anything about Africa and had in mind the images of violence, famine and poverty." Mr Komolo speaks about his childhood in Kenya and of his current work in helping underprivileged children in his home country. 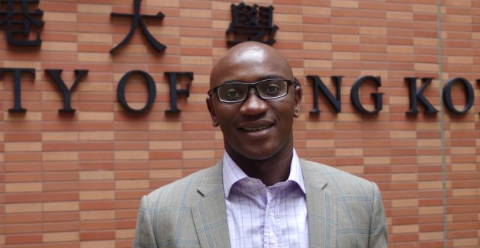 Mr Komolo was also profiled in the South China Morning Post in February this year. Click here to read the Le Monde article in French.